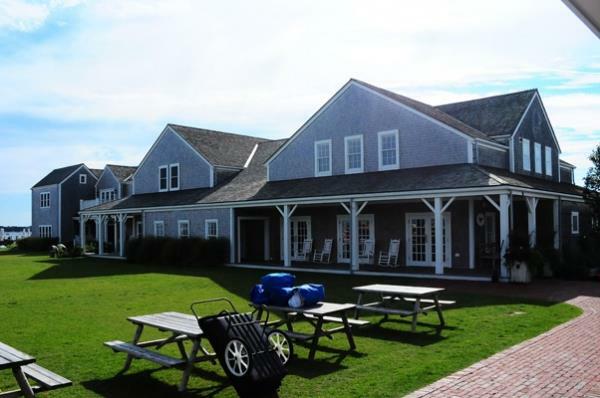 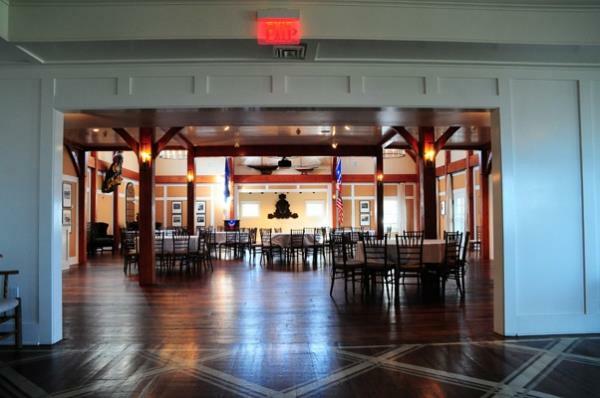 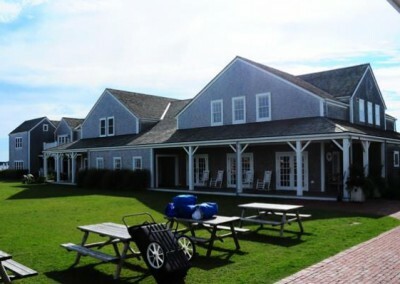 Great Harbor Yacht Club | Lancaster County Timber Frames, Inc.
Several years in the making, the Great Harbor Yacht Club provides Nantucket residents with a second yacht club option, including fine dining, fitness centers, boating education, and a comprehensive schedule of social activities. 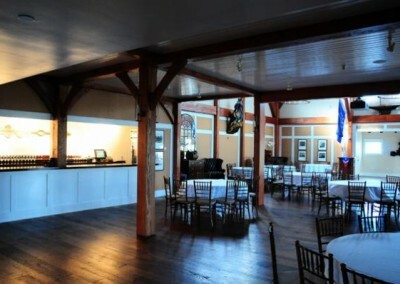 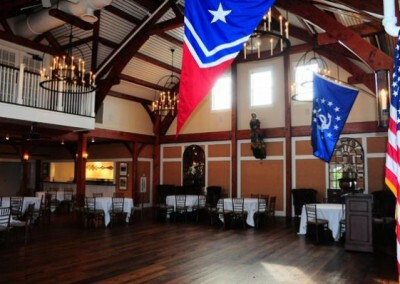 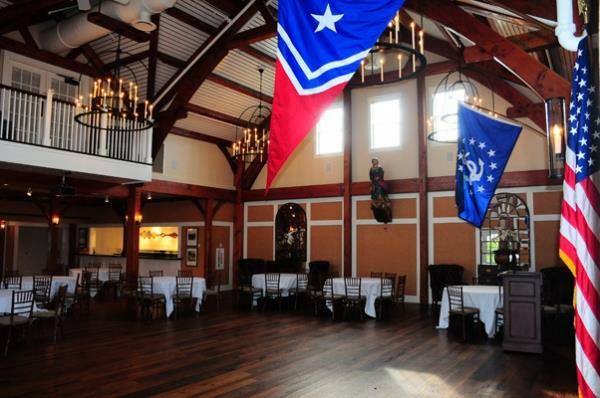 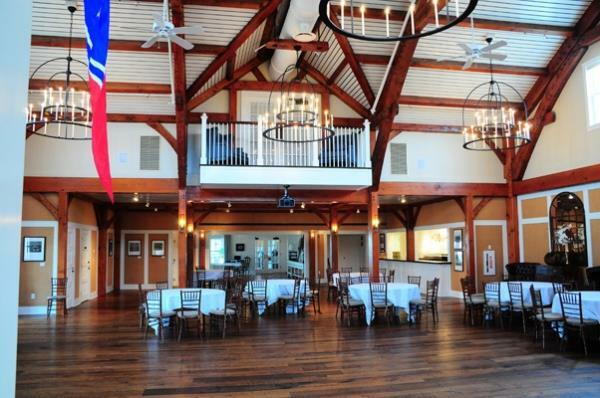 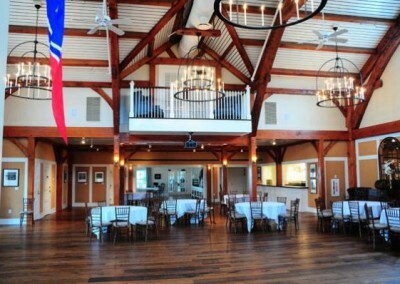 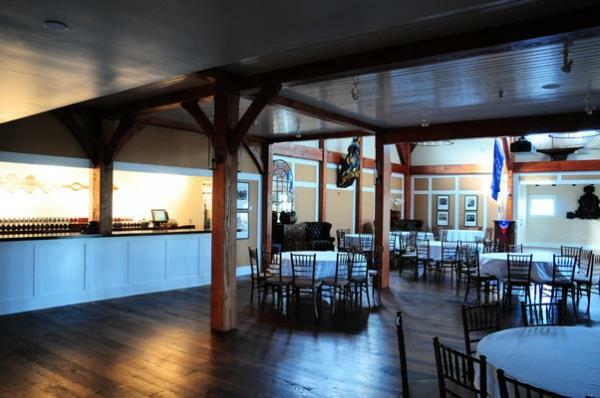 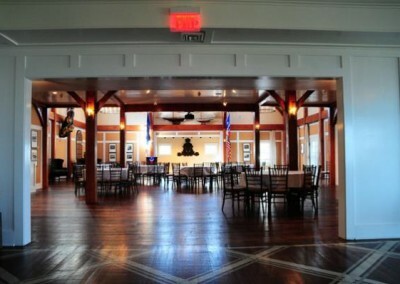 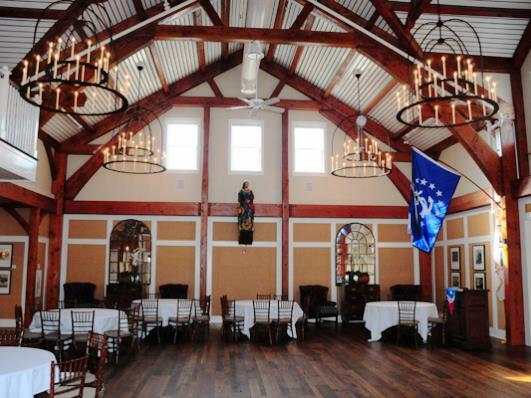 The timber framed gathering or function room is located at one end of a 30,000 plus square foot facility. 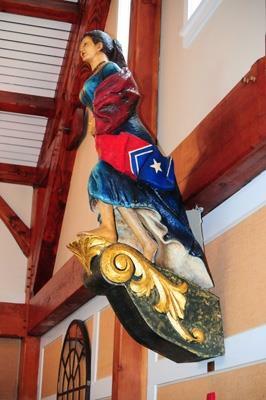 It’s a lofty space, with trusses that incorporate large cruck-like members. 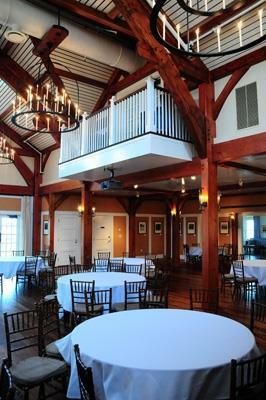 There are two dormers, one of which provides access from the second floor to a balcony overlooking the main gathering area. 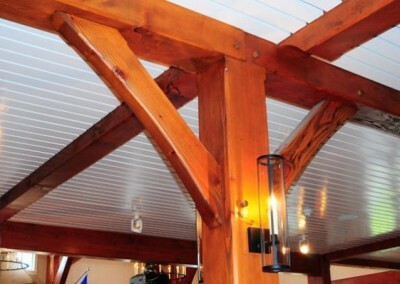 Heavy timber ceiling joists, posts and braces carry the timber frame aesthetic into an adjacent bar area. 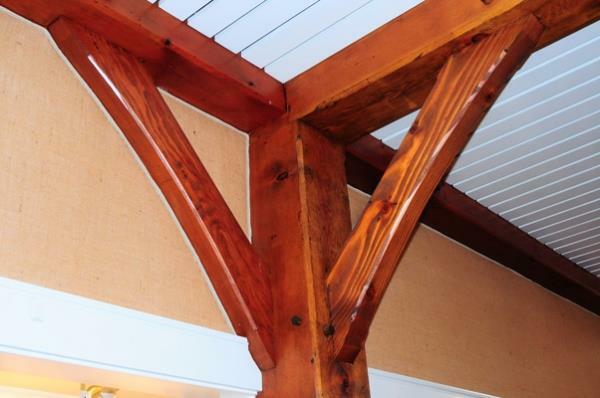 The finish on the Douglas fir timbers was selected by the interior designer and has a hand-rubbed and aged feel that accords well with the traditional Nantucket exterior. 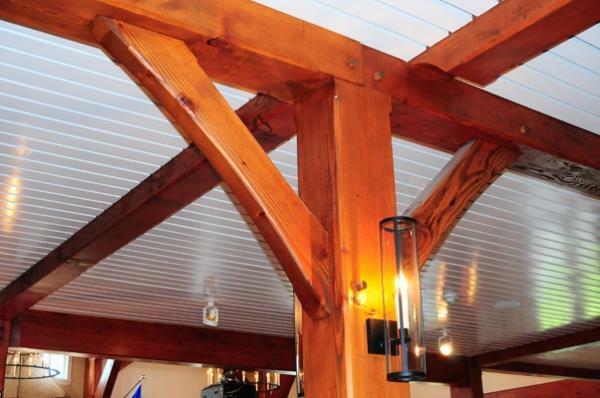 General Contractor: Stateside Construction Group, Inc.